Habanero Systems is a large multi-national company that has been producing particularly beautiful slots over the last five years. Plenty of companies focus solely on slots these days, but Habanero still has a great selection of table games and video poker games, which is great for anyone experiencing a little slots fatigue. Habanero was founded in 2010 with its head office in Curacao but it’s since been taken over by a group of investors in 2012 who expanded the company with offices in Johannesburg, Manila, Sofia and Kiev. The company is somewhat of a hidden gem in the online gaming world as it doesn’t get near as much attention as giants like NetEnt and Microgaming but it still produces top tier games. Habanero has embraced the HTML5 revolution and the vast majority of its games are available for cross platform instant-play, which means you can play on an iPhone or a fully-specced Windows PC. New-school slots players will most likely enjoy the Habanero style of making slots. Most Habanero slots are graphically intense and are reminiscent of high-profile console video games. It’s a far fry from the clunky old slots that dominated the industry in the early 2000s. Habanero games are also highly adaptable and the company has support for numerous languages. Thanks to the adaptability of Habanero games, the company sometimes produces custom games or systems for online casinos around the world. Anyone who likes to game on mobile devices will be happy to know that Habanero undertook a large scale transition to HTML5 a few years ago and now every game the company offers is available for cross platform play. Habanero not only converted all of its older flash games to the superior HTML5 format but every new game the company produces is designed exclusively in HTML5. For anyone who hasn’t played around with HTML5 games, Habanero is actually a great place to get your feet wet. Basically HTML5 games run faster, look better and are available for a larger variety of devices. Each one is available in-browser for instant play. No more downloading or having to wait an inordinate amount of time to play. Slots are not the only games that benefit from HTML5 tech on Habanero, however, as the company has also transitioned its table games and video poker to the platform. That means you can actually play Blackjack or Double Bonus Poker on the train or from the comfort of your couch. Pretty much all of Habanero’s games are available free-to-try so anyone can take a test drive of the software and see if they enjoy it. Habanero has an excellent selection of games, which puts some of its bigger competitors to shame. The company has over 70 different slots (most of which are high-end HTML5 native games) in addition to a generous selection of table games and a large number of video poker games to boot. More and more casino software developers are starting to ignore the table game side of the business so it’s nice to see Habanero giving a little love back to table game players. The company also hosts a large number of video poker games, which is a bit of a throwback but great to see. There are still a few holes in Habanero’s portfolio, however, as the company doesn’t offer anything in the live casino arena or any non-casino products. Habanero has over 70 different slots with new ones being introduced all the time. The company doesn’t have any of the big movie or video game licenses that you might see from the competition but it does do an excellent job of creating good themes for its games. It’s truly an immersive experience with zombie, gangsters, Spartans, vikings, Sci Fi, Mysticism, pirate and various other fun and diverse themes. 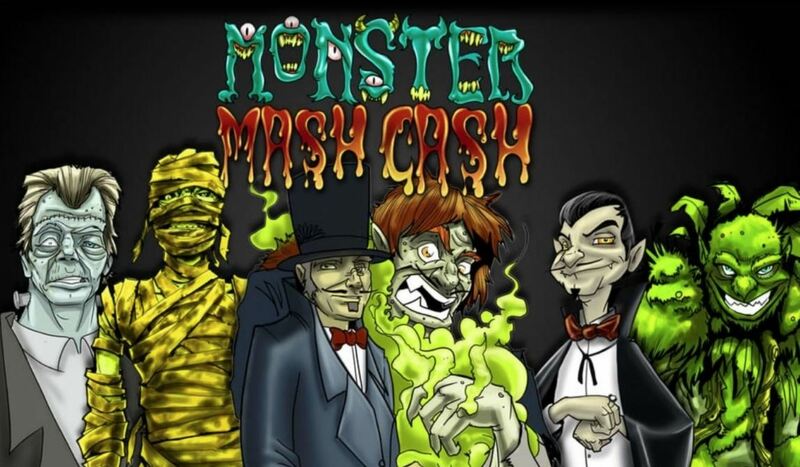 Some of the most popular games on Habanero include Monster Mash, 12 Zodiacs, Blackbeard’s Bounty, Bird of Thunder, Panda Panda, Wicked Witch, Gold Rush and Frontier Fortunes. Slots look fantastic on Habanero with full-screen, full HD themes that will take up your entire screen. Sound effects are also amazing on Habanero and hitting a jackpot on any of the company’s games is incredibly satisfying. Habanero has a breathtaking selection of tables games that would be tough to find elsewhere. The company offers all the standards including Blackjack, Roulette and Baccarat, but a number of more obscure games too. We particularly like Caribbean Hold’em, War, Three-Card Poker and Caribbean Stud. Habanero also offers Sic Bo, Double Exposure and Three-Hand Blackjack. In total Habanero is home to 12+ table games, which might not sound like all that much but is actually a sizable increase from many competing companies that only offer two or three table games. There is no live casino made by Habanero. It’s one of the few gaming niches where Habanero does not offer a product. Although Habanero sticks primarily to traditional online casino games, it also has a nice selection of video poker games. Video poker has been somewhat ignored with the rise of graphically intense HTML5 slots but there are still people who love to take a shot at spinning up a royal flush and cashing in big. Habanero has support for a variety of different video poker modes including Bonus Poker, Double Bonus Poker, Deuces Wild, Jacks or Better and more. In total the company offers over 10 different video poker games. The history of Habanero is a little different than most gaming companies. Unlike many of its competitors, Habanero only opened for business in 2010, making it a very late entry to the industry. Even more surprising, the Habanero in business today was founded in 2012 when a group of investors saw potential for the rising company. Habanero is truly an international company with its main offices in Johannesburg, Manila, Sofia and Kiev. The global reach of Habanero has been helpful in creating games that are highly adaptable for every market with support for a plethora of different languages. Habanero’s relative adolescence in the online gaming world has been helpful in some capacities. It was able to skip the majority of flash-based casino games and the entirety of the old standalone download model. As a result, Habanero has been able to forge ahead with a strong emphasis on HTML5, which is not only faster and more graphically impressive but offers support for a variety of different platforms including mobile devices. It’s surprising that Habanero doesn’t get a little more discussion in the online gaming world. The company is far from the biggest developer in the business but it somehow manages a very robust portfolio of games. Game variety is key with some high-end slots, table games and video poker all available for play. That makes Habanero a great one-stop shop for casino gamers who like a little bit of everything. The company has also shown a key interest in keeping up with the latest technology and making sure that players can play on a variety of different devices. Bottom line: Habanero is worth checking out.